The means for achieving expansion of consciousness & liberation of energy have been recorded in various tantric texts, including the Mahanirvana Tantra which was translated into English by Arthur Avalon (Sir John Woodroffe) in 1913. Before the “great” modern gurus & the western world could trade on their own concepts of tantra. When it was still fairly closely guarded knowledge. The Mahanirvana is the Tantra of The Great Liberation, & liberation is intimately connected with the secret mysteries of manifestation, in both the macrocosm & the microcosm. What are we being liberated from? our conditioning starts pre-conception, is infused with our genetic DNA, plus our own “DNA” codes and longings from previous lives. as well, we are conditioned with the experiences that we must undergo in an incarnation. During a lifetime we constantly receive conditioning, from family, society, and peers. This conditioning, and the traumatic experiences of life, and I am talking all lives that we undergo, here, leave impressions, deep in our inner being. Someone else who has read another of the yogic scriptures, such as Patanjali’s Sutras, would say no, no, this and that are what we are being liberated from. Here, I am writing from my own personal knowledge as a long student of deep yoga spirituality, as a healer, and as someone who has taken hundreds of people through regression (past lives). Kaivalya, or Liberation, is freedom from all of this. Although, who are we to truly know? Who has met such a being? Not I. There is also the Liberation whereby one lives the present life with the freedom that is gained as the result of spiritual knowledge. This liberation, according to The Mahanirvana, is known as the state of jivanmukti. This knowledge grows, it expands, within consciousness, and as it does, an incredible amount of spiritual energy is liberated with each new growth in expansion of consciousness. 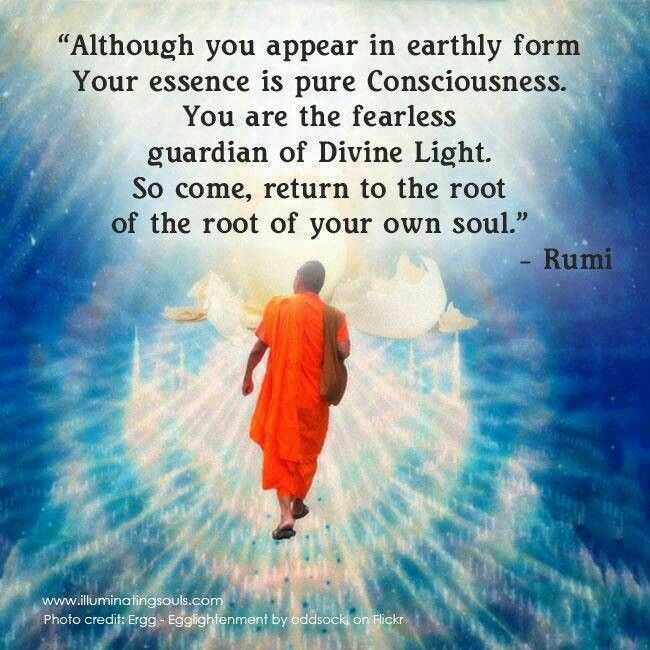 It also works the other way: as one’s spiritual energy grows, so does one’s spiritual consciousness. In my experience, there seems to be a level at which the process just keeps going by itself, whether one consciously does practices to build up and grow one’s energy, or not. Futhermore, if our Path in a lifetime is for this spiritual journey to happen, then happen it will. How can we achieve liberation and expansion? I have met a modern guru who maintains that this process in the form of kundalini, happened by itself to her, and that it has continued to happen for nearly forty years. The rest of us are not destined to be born to this. The rest of us need to do some things for the whole spiritual process to take place. There are more, of course, but these three form a solid, time-proven base to work from. In Maori spirituality, of which I am also a dedicated practitioner, there are various chants for various aspects of life, and for healing; various forms of spiritual healing; ceremonies; and teachings from over ten thousand years ago which give guidelines for living, and for the spiritual journey and realms. I mention the Maori spirituality, as it is good to know that there are many ancient Paths to Liberation, including Buddhism, the martial arts of esoteric practices from China, and I am sure that there are others. The main thing though, is to have a Path, and travel it. Do not waver. Give your spiritual energy time to build up, so that the consciousness can expand.